Rising timeshare maintenance fees are seeing UK timeshare owners spending an average of £500 a year before they’ve even booked flights to their destination. Over the years, these fees begin to add up making timeshare more of a burden than a blessing for owners. 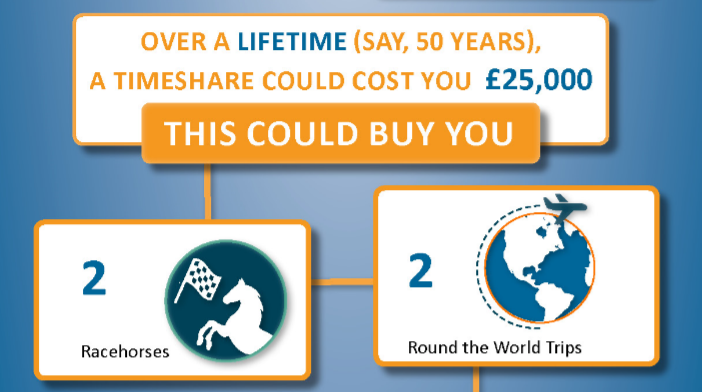 The average timeshare owner is spending £500 a year on fees not including flights, food or spending money. This amount alone could easily fund a long weekend on the beautiful Canary Island of Tenerife. For example, an all-inclusive, four-star long weekend for two people (flights, accommodation, food and drinks), can be booked for less than £400 through holiday planning experts Cheap Holidays Tenerife with over £100 left to spend! Providing light at the end of the tunnel for unhappy timeshare owners, Timeshare-Advice.co.uk offer a professional service assisting timeshare owners with their individual queries and needs. With over ten years’ experience, Timeshare-Advice.co.uk pride themselves on their quality services which include timeshare resales, client purchases, trade-ins, disposals, alternative lifestyle and leisure products, as well as the provision of advice on getting the most from existing timeshare ownership.